Product name ZH900G NEW style Long fashion Slim temperament bride weeding dress Material 100%cotton Size XS/S/M/L/XL/XXL/XXXL Color as the picture Customized Customers provide design or photo or we create design according to customers' requirements Transportation DHL,TNT,UPS,EMS,FedEX Payment PayPal, Escrow, Western union, Money Gram, T/T and cash payment. 2 We will send you a mass production sample after confirmation. 4. Discounts : You will get some coupons after you place the order. Every company or customer has their own personal account manager. the freight is different for different expresses. besides, we just accept returning standard size dresses in perfect and brand new condition. Q:How to place order9 A:Choose the design -- get quotation --- details confirmed --- payment made --- production started --- image confirmation once products finished --- packing --- delivery ---- after-sale service Q: How can your guarantee the quality The sale will update the information to you when production Professional product quality inspection team ensure order quality before delivery Any problem , the after-sale support system will take responsibility for it Q : Rush order accept 9 -----For rush order , takes 3-7 days for different designs , need extra cost 20-50USD , need to confirm with sales service before place order Q: What is the delivery time9 A: Usually 15- 30 days after confirm payment, depend on the designs and quantity. Q:What is the payment terms9What is the payment method9 A: For small amount payment need full payment before production, 30% to 50% deposit for large amount orders. T/T, Western Union, Trade Assurance and others Q: What is the best price you can offer9 Send out the inquiry to get the latest price !!! 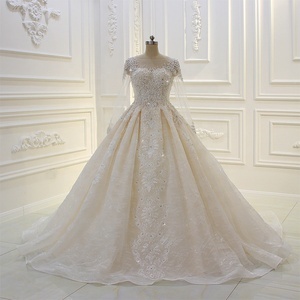 6 YRS Suzhou Sabina Wedding Dresses Co., Ltd.
1.Please contact us firstly when there is a problem with items you received. 2.Please contact us firstly before sending items back to us, and we don't accept returns without contacting us. About us We are direct factory of wedding and evening dresses with 12 year's export experience. 1 YRS Quanzhou Kaluoka Trading Co., Ltd.
3.Our factory products have exported to more than 30countries and regains for 10 years 4.2010 selected to take part in the Exhibition in Paris , France, in the Frankfurt&rsquo;s airport for one month . Workmanship Notice 1.Before placing an order please give us your size chart, or follow our size chart below 2.Our wedding dresses do not include any wedding accessories, only quote for the dress 3.We can provide you productive tempo with picture or detailed process for you in mail during production period, so you can follow you goods clearly. 4.There may be a slim chromatic aberration between the computer screen and the real goods, but we can assure you more than 90% similarity. If you are interested in some of the items or want to place an order with us, please do not hesitate to contact us. Q: How long dose it take to finish my order9 A: Within 2days can be shiped out after received payment. . Q: How can I know the process of my order9 A: After shipped out the parcel we will give the tracking no. 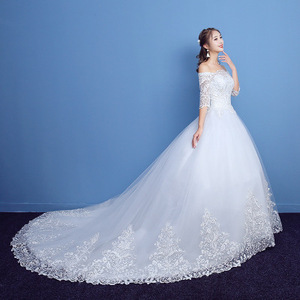 9 YRS Zhongshan Kellys Bridal Co., Ltd.
4 YRS Guangzhou Yasiqi Import & Export Co., Ltd.
24-hour service Should you have any question, please do not hesitate to contact me. All our dresses are fully lined and structured to hold their shape and flatter your figure. Then we ship your dress by reliable shipping companies to guarantee you quick delivery time. because of the different fabric and lace pa ttern. if you found other shop use our yiai name to update products or use our yiai products, it is not us. 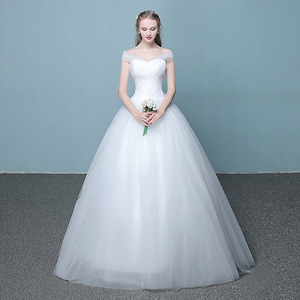 Alibaba.com offers 2,825 dress weeding products. About 6% of these are plus size dress & skirts, 6% are patches, and 5% are wedding dresses. A wide variety of dress weeding options are available to you, such as anti-static, breathable, and dry cleaning. You can also choose from organza, satin, and chiffon. As well as from garment dyed, plain dyed, and crocheted. And whether dress weeding is oem service, in-stock items, or make-to-order. 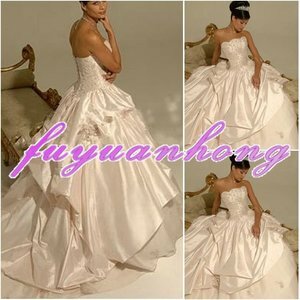 There are 2,825 dress weeding suppliers, mainly located in Asia. 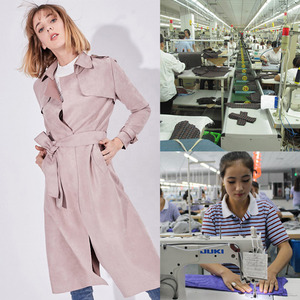 The top supplying country is China (Mainland), which supply 100% of dress weeding respectively. Dress weeding products are most popular in North America, Western Europe, and Southeast Asia. You can ensure product safety by selecting from certified suppliers, including 103 with Other, 81 with ISO9001, and 9 with FSC certification.